Find your favorite shows and movies faster with Smart Search and voice commands, save up to 1,000 hours, watch anywhere in your home and more with the New Contour. 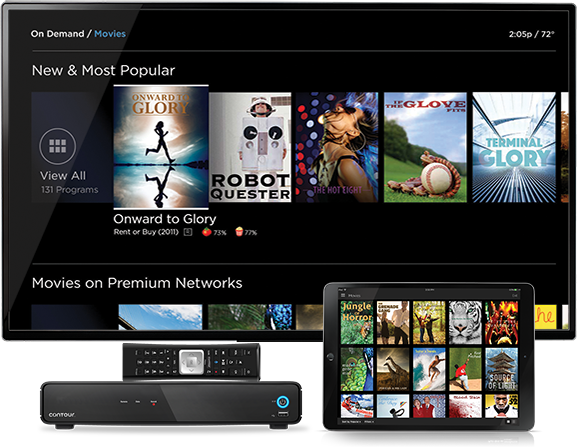 Now it's easier than ever to access all your entertainment with enhanced navigation and Smart Search. With the New Contour, watch more—don't wait more. How do I use the Voice Remote? The Voice Remote simply responds to your commands when activated! 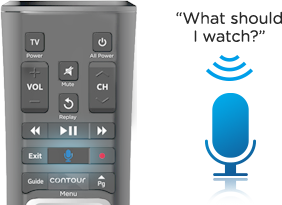 Press the blue button on your remote and say a simple command to change channels, find specific shows, set DVR recordings, get recommendations and more. Just say it and play it-no need to memorize certain phrases. Spend more time watching and less searching with the New Contour's innovative on‑screen guide. The Guide shows every program on every channel through the next two weeks so you can watch live or record programs well in advance. Record More. Store More. Watch More. Build your own binge-watchable library with up to 1,000 hours of storage and record up to six shows at once with Record 6 DVR. 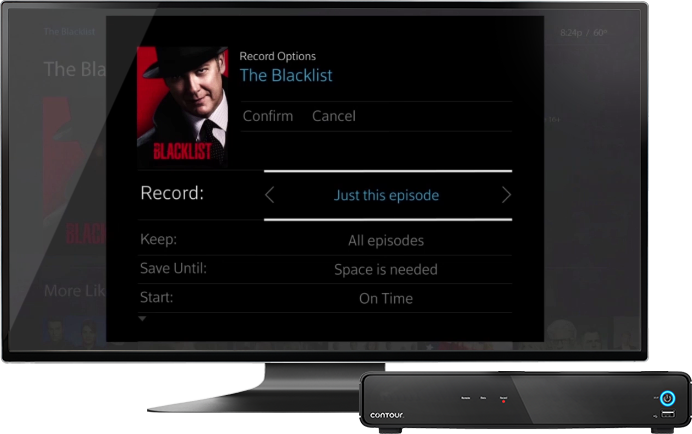 The new Contour keeps track of the last nine programs viewed from live TV, on your DVR or On Demand so you can restart your binge-watching or enjoy them all over again. Don't miss a big play while you're checking your phone. 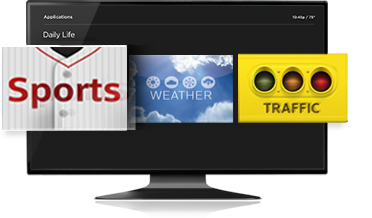 Access the Sports app with voice-control or through the main menu and get stats and scores on your TV screen—without interrupting the game. Give your kids their own parent-approved TV experience full of their favorite shows with Kids Zone. 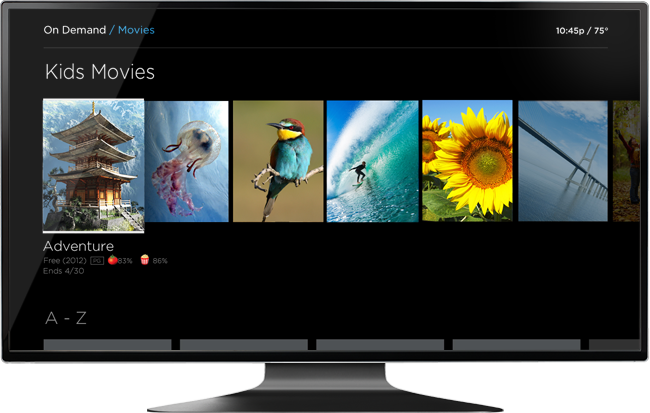 And reimagine your TV experience with on-screen apps and TV show and movie recommendations based on what you love to watch. Kids Zone lets the little ones watch all their favorites with a parent-controlled, customized guide made just for them. The Sports app shows up-to-date scores and stats while the Weather and Traffic apps help you plan your morning commute. 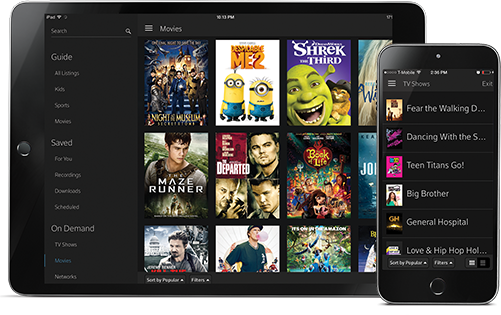 The New Contour helps you discover new TV shows and movies with recommendations based on what you like to watch. Missed the start of live TV in progress? Watch select shows from the beginning so you never miss a moment. Finding what you want to watch shouldn't be a chore. Search for shows and movies instantly and enjoy your entertainment more than ever before with the new Contour—your TV experience redefined.